Good news for all potato lovers, foodies and couch potatoes! A budding restaurant in the heart of the metro is now here to satisfy your potato cravings. 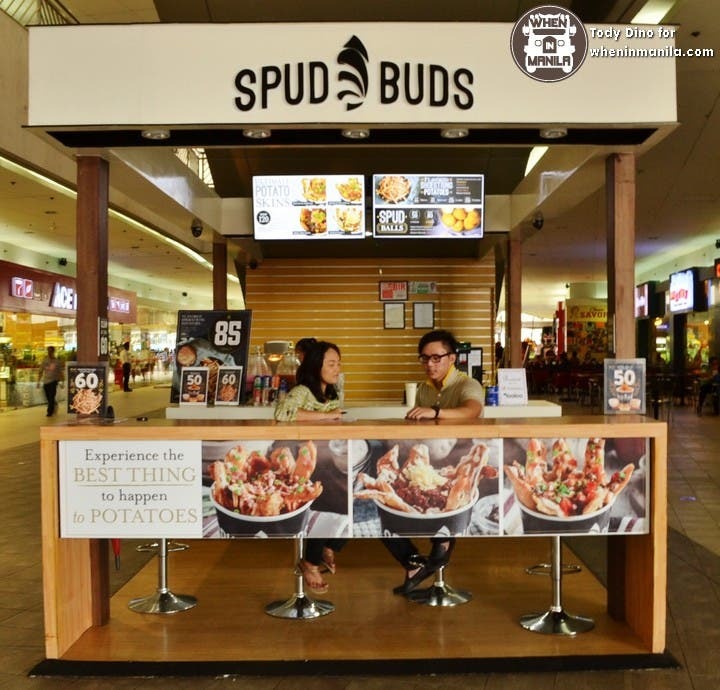 Spud Buds was conceptualised by co-owners and best friends Harry Ong, also the owner of Orange & Spices in Taft Avenue, and Leonard Co, a self-confessed potato lover. After many trial and errors of R&D, they finally opened their first mall branch in SM Mall of Asia in October of 2014. They also have stalls in Miriam College and Claret School in Quezon City. Potato dishes are indeed great, but there are 5 particular reasons why I love indulging in their products. 5. They are prepped daily and peeled by hand. What I like about Spud Buds is that they prepare their potatoes on a daily basis. You read that right: they prep their ingredients, particularly the potatoes, every single day. I had to ask Leonard this question twice as I couldn’t believe it myself! From the market, they peel and cut each potato manually to ensure their freshness and cleanliness, which they call an extensive labor of love. 4. They will remind you of your favorite childhood snacks. Spud Buds have their own version of flavored shoestring potatoes that brought back memories of my ‘kabataan‘ days. My eyes widened when I saw their products. I almost choked upon tasting a handful of it. Note to self: chew slowly. Their version of shoestring potatoes are great as they bears a light texture. Plus, the flavor was just right and not overpowering. We tried the Sweet Chili flavored shoestring potatoes and they were definitely a delight! 3. They are not your ordinary ‘FRIES‘. Unlike other establishments that offer fries, Spud Buds boasts of a concept of frying the potato skins, which results in a crisp potato snack that does not easily sag. Their ultimate potato skins come in 4 flavors: Bacon & Cheese, Mexican Picadillo, BBQ Chicken and my current favorite, Texas Chili. Besides the potato skins and shoestring potatoes, they also offer Spud Balls, which are sort of like fried mashed potatoes with ham in cheese in the middle. The texture of the Spud Balls is rich, smooth and well-flavored. Plus, you can choose from their 3 signature dips (Honey Wasabi, Garlic Aoli and Spicy Cajun). We happened to try all 3 and I prefer having them with Honey Wasabi. 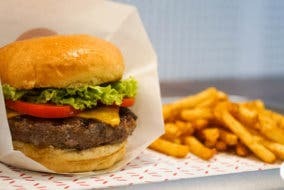 Filipinos love cheap food, but cheap does not necessarily mean blah. In Spud Buds’ case, they priced their products reasonably enough. The serving was also just of the right amount to which I can positively say that ‘di ka tinipid’ and you will still get your money’s worth. Spud Balls are priced at Php50 for 3 pcs, the small shoestring potatoes at Php60 and the potato skins at Php120. O di ba, sulit?! 1. They make for great movie buddies. Enough of nibbling on popcorn or nachos whenever you watch a movie. Spud Buds’ flavors and dishes are just enough to munch on during a movie. Their dishes also come in to-go paper bags and bowls for the convenience of both movie-goers and mall shoppers. In short, they package everything carefully to ensure that they won’t make a mess. You might want to check out Whisk’s Jams and Dips Make for Great Snacks and Gifts, as well! 12 Tasty Eats You Need To Try At The Newest Food Hall in Malingap!